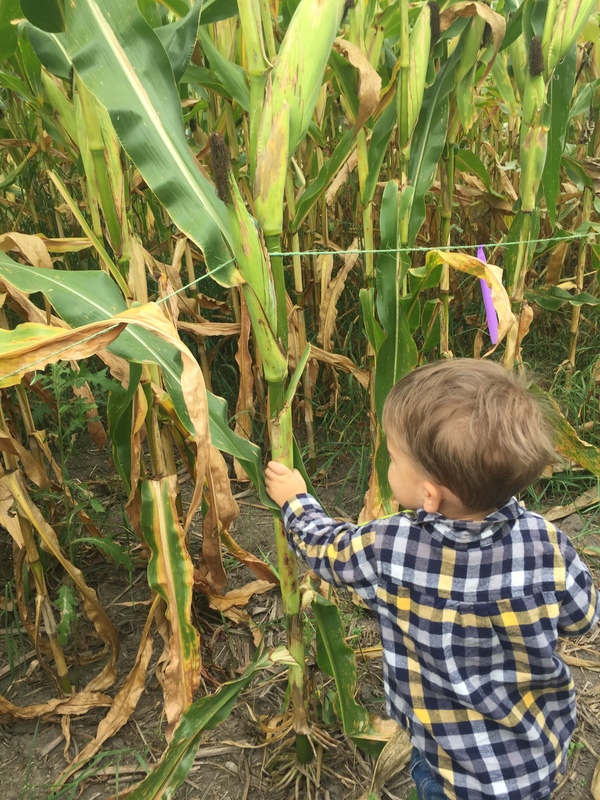 Saturday we drove to Pataskala to check out Lynd Fruit Farms. 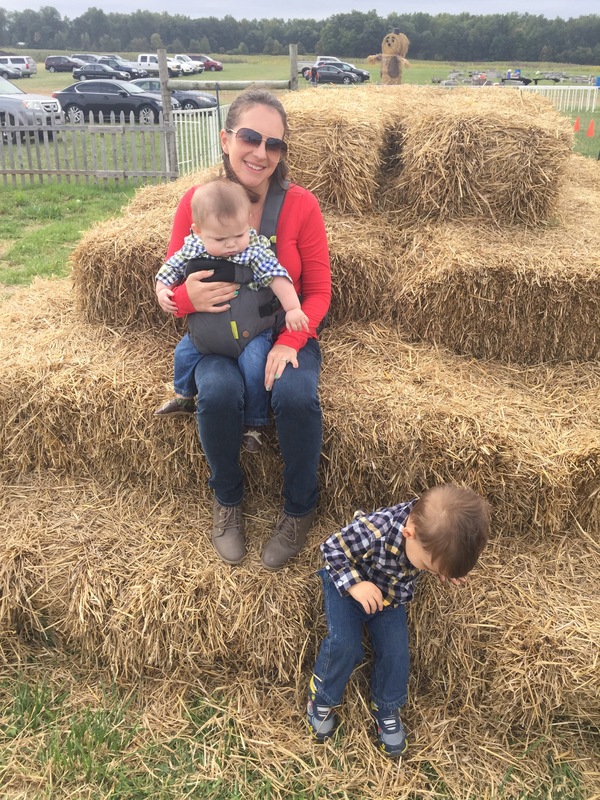 The weather is finally cooling down and it was the perfect morning for some apple picking and fall fun! 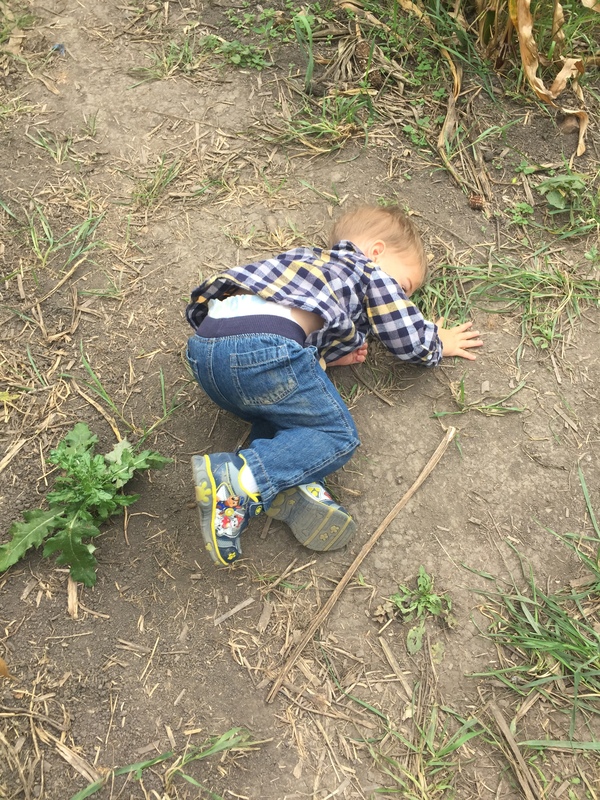 Mikey was excited to go explore another farm. Tuck on the other hand wasn’t convinced. 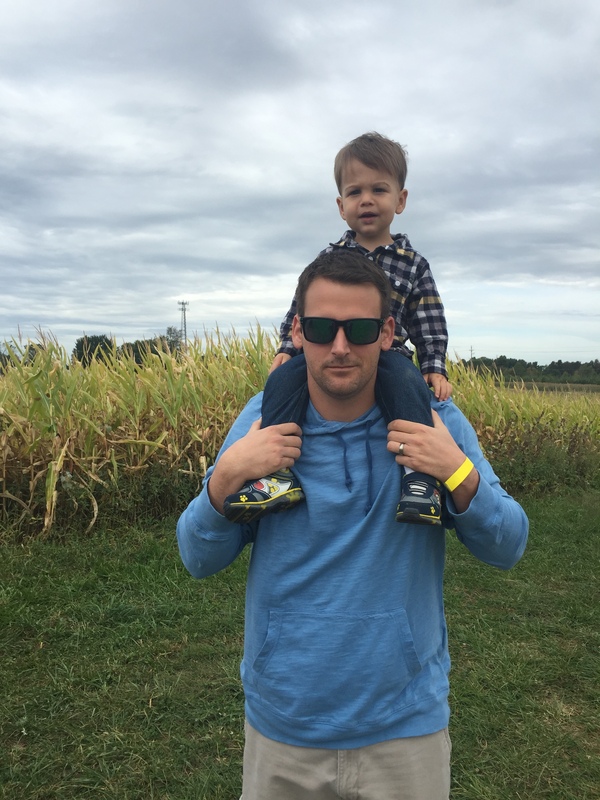 Headed for the corn maze! 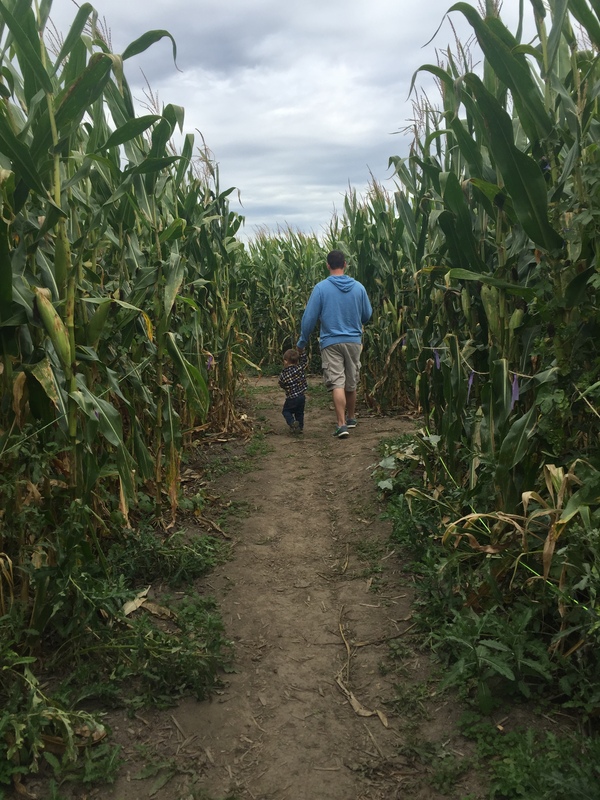 We started the maze with Mikey leading the way…. But after a little thought decided it’d be much better if Dad took the lead. 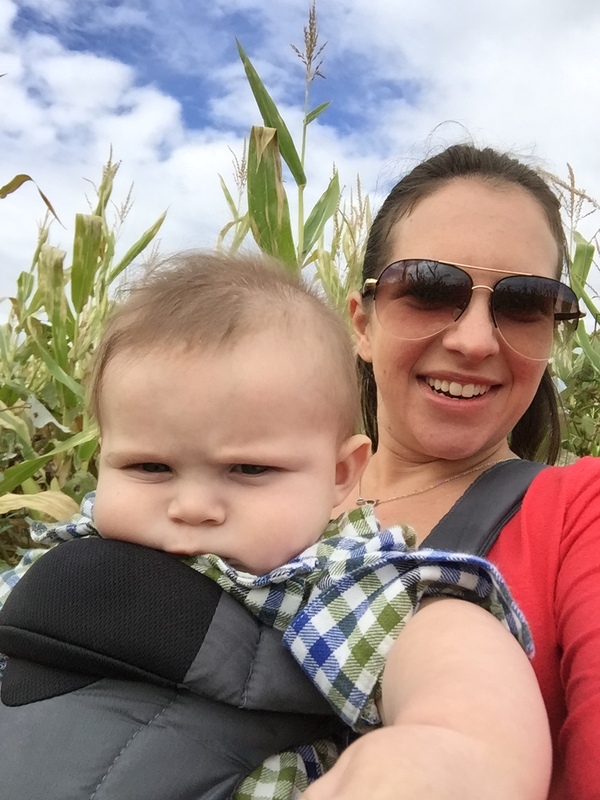 Tucker enjoyed being out of the stroller, taking in the sights and breathing in some fresh cool fall air. We had a few spills due to the uneven terrain but Mikey pulled through as usual. 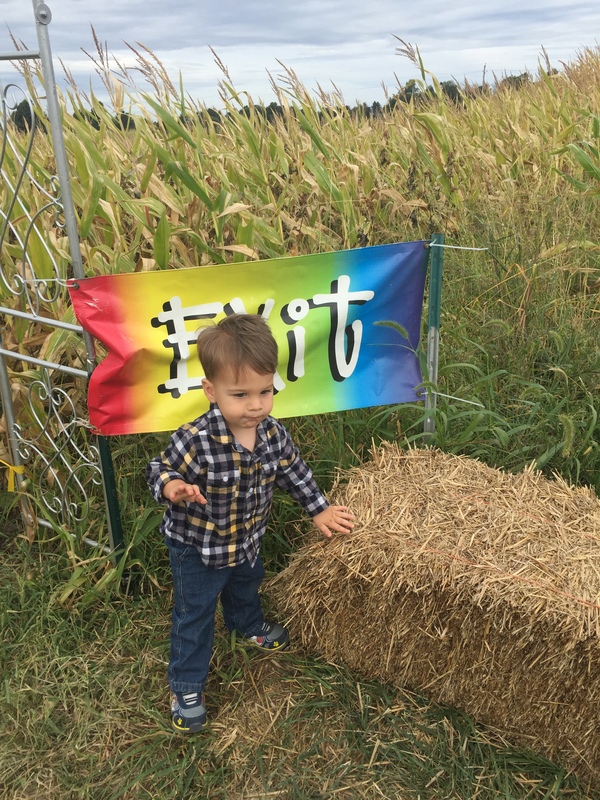 Mikey loved touching all the stalks and running around the corn maze! We finally found the way out! 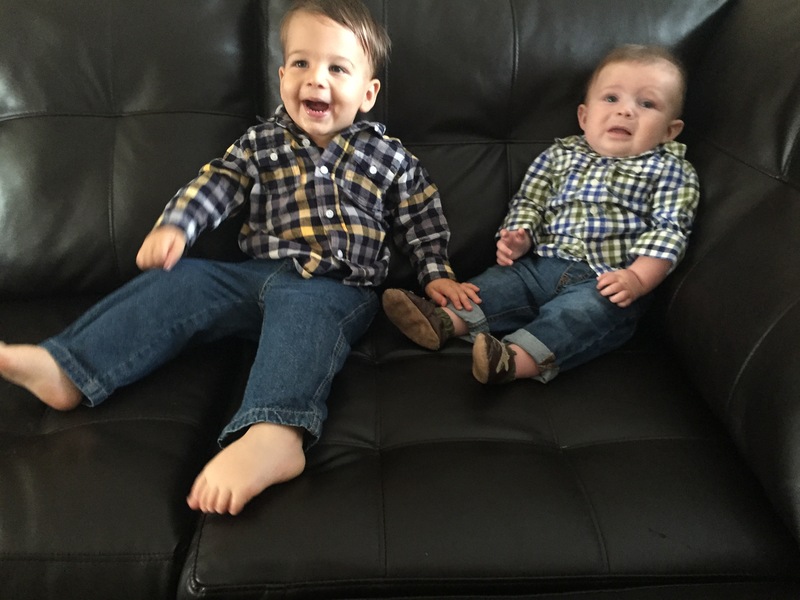 My valiant attempt at a photo of me and the boys. 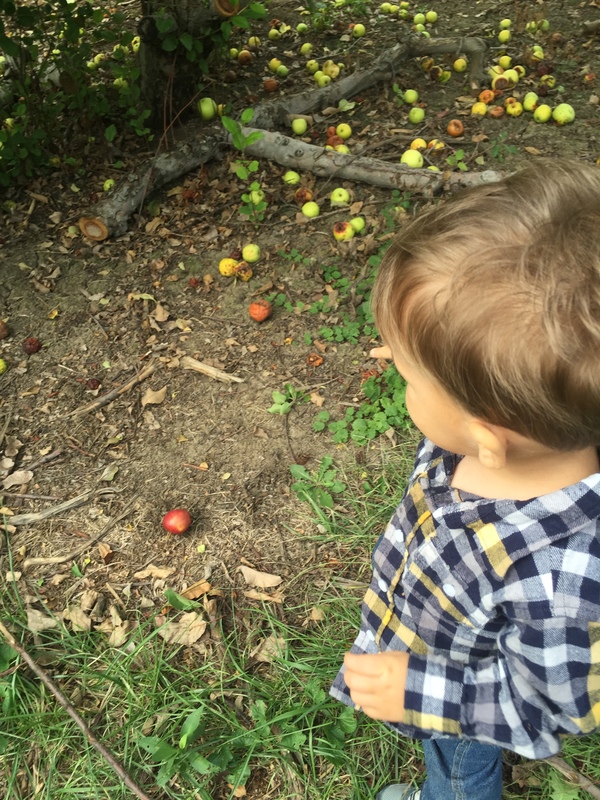 Time to pick some apples! We had to keep a close eye on Mikey. He kept trying to eat the rotten ones off the ground. 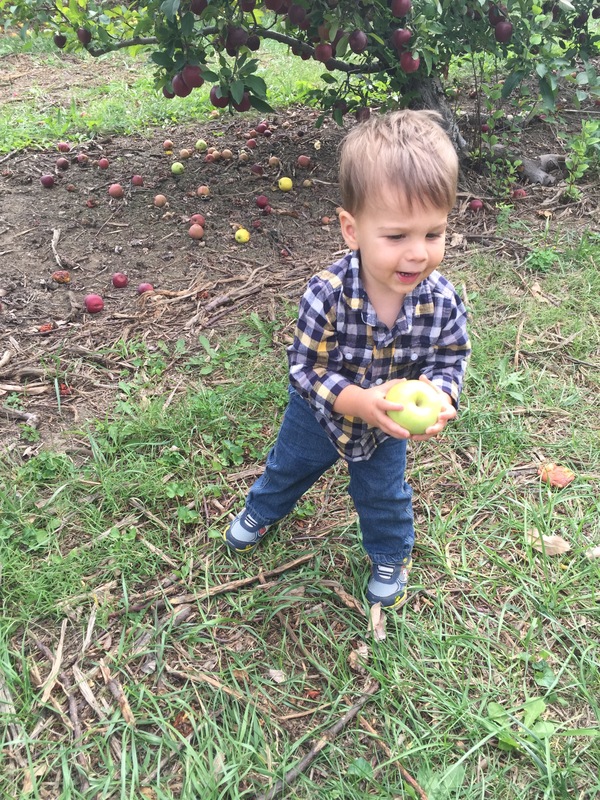 Mike loved getting to pick the apples off of the trees. Tucker even got in on the action! Fun was had by the whole family!